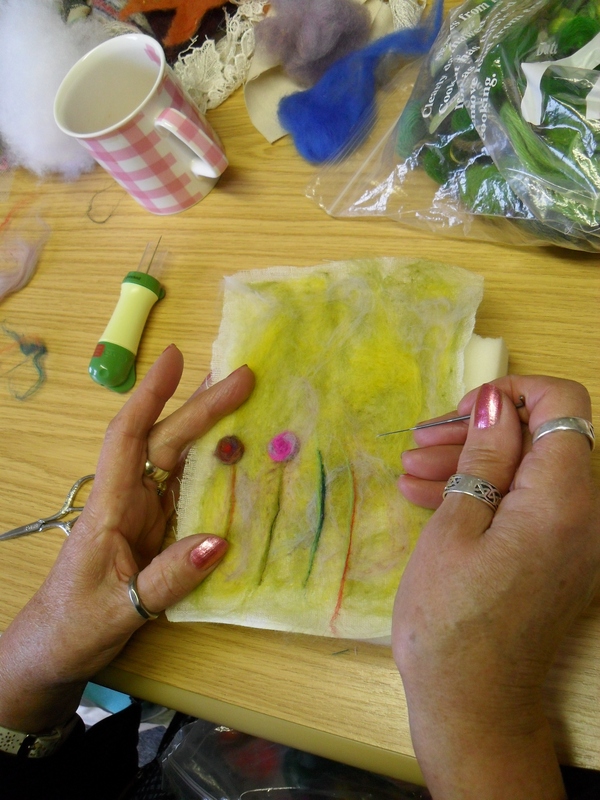 Back in November I mentioned the needle felting workshop I held at the Joseph Banks Centre where we looked at the basics of creating a needle felted picture. Since then Sheila has gone on to finish her ‘Autumn Leaf’ picture and this week I received a photo from another of the ladies showing her finished ‘Flower Meadow’. 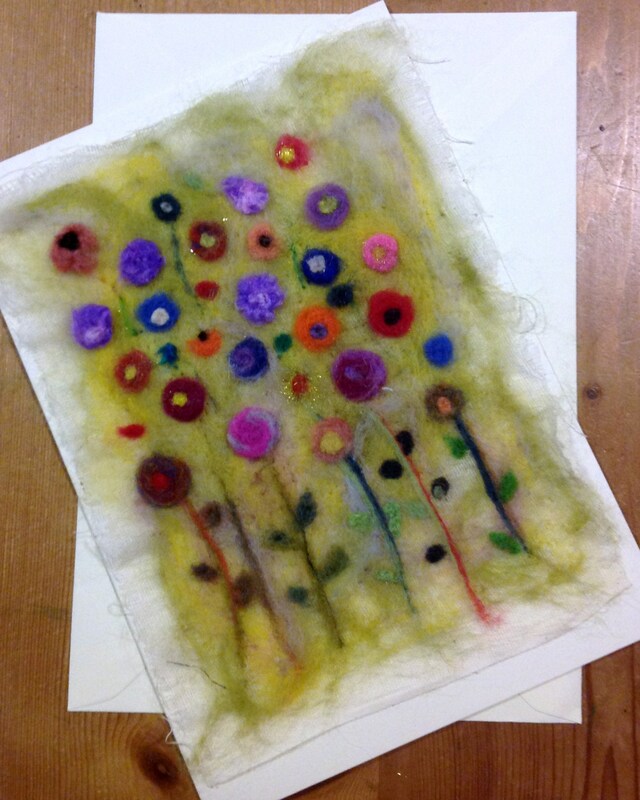 Eileen chose to mount her work to make a greetings card and the finished effect is beautiful. 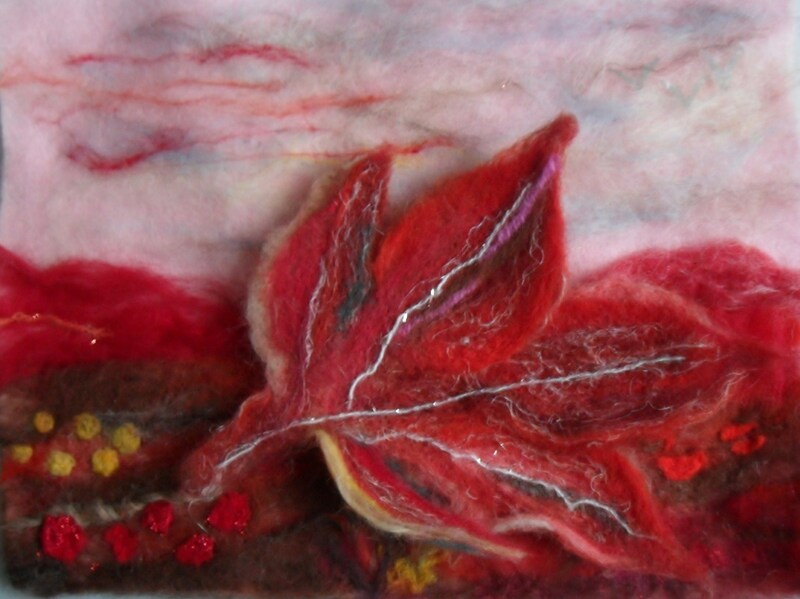 Watch out for Eileen’s next picture as she rises to the challenge and try’s her hand at wet felting – the background is done and looking fab so can’t wait to see it finished! Work in progress….time is running out so this will be continued at home. The finished picture looks great mounted as a greetings card.